Yes, people, I'm going to get some of this TODAY to start taking. LHCF ladies are reporting receiving noticeable hair growth rate increases. If that's not enough to sway you, chlorella is called a super food. When I saw these two things, I instantly became interested and did what I always do when I am looking for information on something, I "googled" it and am here to share what I learned. It is a blue-green algae that's harvested in Japan. This algae is chock full of numerous nutrients and boasts boosting your overall health, skin, hair, nails, circulation in your body, reducing odors from your body; like fresher breath and detoxing your body (your poop turns GREEN!). Also, because it detoxes your body, it's cleaning your blood and can reduce your risk for colon cancer. Because it detoxes your body, be prepared when you first start taking it to be going to the bathroom a lot. LMAO. I read some stories of women just barely making it home. So I was laughing so hard but I will definitely be keeping this in mind. Once you've got past the initial detox, it keeps you regular. According to Chlorella Factor, if your poop isn't green, then you're not taking enough. So there's your determining factor if you are or aren't taking enough. Chlorella is a storehouse of concentrated nutrients. Its nutritional analysis is so impressive, it is purported to contain everything needed to support life on earth. One of its most remarkable nutritional qualities is its high protein content; 50-60 percent with all the essential amino acids including a high content of lysine for optimum health. As an all-vegetable source, Chlorella also provides impressive amounts of Beta Carotene, Vitamins C, E, K and the full range of B-Vitamins. It has more Vitamin B12 than beef liver and is an excellent source of this “feel-good” vitamin. The minerals in Chlorella include calcium, iron, phosphorus, potassium, magnesium and trace amount of manganese, iodine and zinc. So don't get gung ho on them right away. Some LHCF ladies did and reported getting cramps, so please introduce it slowly as recommended. Chlorella Factor also recommends once you are used to it, you should be taking 5gm daily. I think paired with the prenatal vitamins I just started taking (like a lil over a week ago), I think I'll be good to go hair growth wise and overall health wise. Killing 2 birds with one stone, yay! I already feel a difference from taking the prenatal vitamins and it's only been a lil over a week since I first started taking them. My skin has always been pretty good, but it's even better now. It just feels great. I'm loving the results. Plus, the chlorella is good for your overall health. Because it detoxes your body, you end up looking GREAT! Many women have reported weight loss as well. So those looking to lose a couple pounds a healthy way, here's one of them. Updates on this super food very soon! 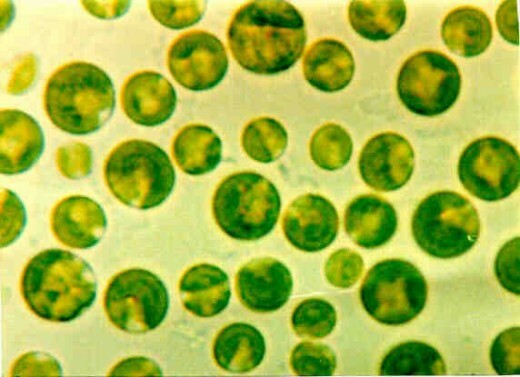 Any of you lovely ladies taking chlorella? Please share your thoughts/results with this. Any takers to try this with me?